Hi all, I'm in!!! I bought the Persian Blue / Cream Leather car from a few pages ago. Thanks all for the tips and advice on this forum...helped me buy with confidence! Better not be or there goes the loft conversion Trevor. 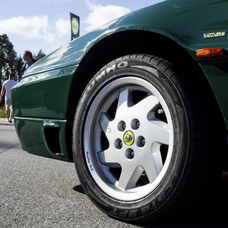 New season of Game of Thrones, Avengers End Game, Star Wars "The Rise of Skywalker" teaser and now a proper (at least on the face of it ) Lotus announcement at a major car show? I am, to all intents and purposes, squealing in a most un-masculine manner this April. After the almost weekly special editions of the JMG Era, I'm kind of excited... there's been lots of infrastructure announcements... now hopefully for the real deal. I'm off to sacrifice a goat. This is why I disagree with people who say that the hypercar is a terrible idea. Yes, most of us here can't afford it. The goal of the hypercar is not to make money directly. In fact I won't be shocked if it loses them money (directly). Honestly a hypercar is probably the cheapest (relatively speaking), quickest and easiest way to bring Lotus back into prominence. The only way this won't work is if its a terrible car. That way when the new line-up launches or 4 years Lotus will have some clout. Will the hypercar fix all of Lotus' issues? 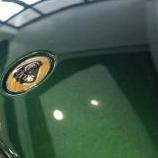 No, Lotus still needs better dealership networks, especially in the U.S. I don't think Lotus is oblivious to this. However to get new dealers or a better network they need cars for the dealers to sell, but the cars also need to actually sell. The hypercar helps this. You can't afford the new Lotus hypercar, but you can afford the new Elise, Evora or Esprit (whatever they would be called). Why would you say that when you have no idea about what any of it is until tomorrow? There is a reason i posted that above and why i voted to leave. A reason that is totally lost on Remainers who choose to ignore it. Consistently, since the end of WWII the UK has shown a resilience and an ability to change and innovate its economy that is absolutely unrivalled by any other country within Europe, let alone the EU. We have evolved our laws and working practices to create a truly flexible, and adaptable workforce that has allowed us to transition our economic activity through the creation of a highly capable, mobile, agile and adaptable work force. I know some will find it hard to believe, and will point to the reduction in things like employment protection rights, working hours, job security and conditions, but the stark reality if for non European countries looking to establish themselves in the region the UK has the best market access and workforce to deliver growth and market share. France, Italy, Greece, Spain, and even the mighty Germany have all created a much less flexible, and higher cost, environment that actually only works for Germany if they keep the Euro at a relatively low value to aid their ability to export both within and externally to, the EU. I truly believe that out of the EU, we have little to fear. We will need to transition yet again, to a new model, but our track record is strong and my belief in our ability to adapt to thrive, is strong. It’s like you’re going out your way to be upset. You have every right to be pessimistic about the direction that Lotus may head towards in the future and if that suits your personal preference or not. But to me the small snippets of news are positive. They are aiming for the cars to stay on the current affordability level. Aiming to keep the cars with their current character but make them more useable. New hyper car to improve the brand image and presence. Sure I’m never going to ever get anywhere near to affording one but there is still their current line up and future line up that will still interest the current crowd. We know very little about the hyper car, for all we know it could be a class leader? Why dismiss it already with almost no knowledge about it? I'm in talks with someone about making new mirror stalks out of CNC aluminium which are similar dimensions to the TFR single stalk mirrors, but the design will be a bit different (a bit more angled and sharper looking). It would have a ball joint attached directly to the stalk which means less to go wrong, plus the thread will be tapped into the stalk so it would accept the bottom two bolts from the standard mirrors which will be a proper, solid, mounting solution. If others are interested, then we could turn it into a batch which would make it more cost effective. I'm hopeful that this would be the ideal, working solution to the mirrors. Increased visibility with good quality mounts. I have had my NA Evora for just over a year now so thought it was about time to introduce myself. I have been a life long fan of all things Lotus, even painting the lotus symbol and a JPS logo on my bedroom wall at the age of 10 while my parents were away. Mother was not too bothered until she realised I had used gloss paint. I also carried the theme on, 24 years later, into my son's room painting a lotus emblem onto a hot air balloon. So owning my own has always been an ambition. But at 6'4" I had been unable to fit into one comfortably until the Evora. I first sat in one in 2010 at JCT600 in Leeds on the way back from looking at a new shape Europa in Malton, which again I could not sit in without getting a bad neck. That was me decided and for the next 8 years I wanted an Evora in red with black pack. That was until I saw what I have now at Hedge End the front end just did it for me. Weirdly, if that was on an Esprit I'm pretty sure there would be a very different opinion. Would I buy it? No. Do I like it? Hell yeah! 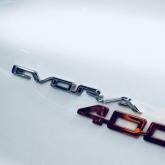 The Evora remains the last fully new model designed by Lotus. 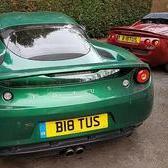 The Exige V6 and 3-11 are basically still derivatives of the Elise with a new rear subframe (and engine). Considering the amount of unimpeded coverage Lotus has been getting in the past 12 hours... I would considering that unveil a success. The GT4 Concept is clearly destined to flatter the Chinese market, Opening a new Driver Academy that ties in the work that Geely is already doing over there is great. It is still not a commitment to a full motorsport return though, which is what we really want don't... Hopefully some teams jump in to get this thing on track PB Racing, VSA motorsport... The Type 130 is going to be an amazing piece of kit by the look of it and the words of Pistonheads!! My understanding is that Type 130 is the successor of the 3-Eleven that JMG was reportedly wanted to bring to market... 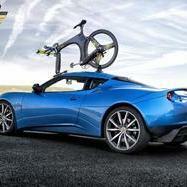 It is indeed going to make it to market with an electric powertrain that includes an AWD system and a dress that will be very very revealing if we just go by the air movement of the CFD imaging Lotus has put out for all to see : Now one question, how heavy light is this Lotus going to be? The journos are adamant the car will have no less than 1000bhp and be good for 250 miles before a charge ; for something about as long as an Evora so 4,30m long and almost 2m wide. Should we start a poll for the weight of the thing ? The fact that the new management is massively investing in the brand history is great. The new website may still be in an interim stage but it is really looking the part, there again a good use of the infrastructure provided by Geely group. It seems the new management and Classic team Lotus have been working together closely on the launch of GT4 Concept as a lot of the media content provided has been shot at CLT new workshop and a lot of memorabilia on the stand is actually also coming from CLT. The future looks bright. Can't wait for the London display. 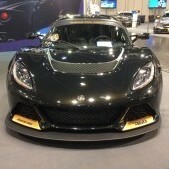 Lotus 3-Eleven 430 - New model released! Never saw this when you first posted Wil. That's what we like to see. Up at 4:30 and can't sleep. Merde. What to do? Warm milk and try to go back to bed? Naaaahhhhhh. 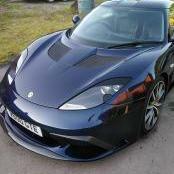 Get dressed and take the Exige out! I agree with this view. 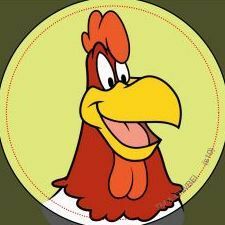 There is so much confusion and misinformation being spouted about future power plants in our vehicles. The average car owner is being completely misled in thinking electric is the future. As C8RKH has said, there just isn’t the infrastructure in place to be able to cope with the demands of widespread use of electric cars. It wasn’t so long ago we were being told the UK would start seeing the lights go out in homes unless we had way more investment in power generation and this still isn’t happening. So, given that scenario, how on earth is the country going to be able to provide power generation for all the cars, never mind the logistics of plugging into it from those parked outside rows of terraced houses? Unfortunately, clean though hydrogen power is, it also consumes a lot of electricity in its production but I still see that as a far more practical solution in the short to long term. As an aside to this, I also wonder if all this confusion is partly responsible for the downturn in car sales over recent times. Most folk just can’t make an informed decision about their next car purchase until we are able to see a practical way forward. Do they stay with diesel, which is being continually demonised, do they go hybrid, all electric or just stay with petrol for now? I have always changed my daily cars every 3-4 years but decided to stick with what I currently have and probably run it into the ground. It is a big engined diesel but happens to suit me perfectly for what I need right now. Not a Evora, but had to post it with the topic being blue interiors, a silver Cup 250 with the same blue interior, got to say I think it looks fantastic, reminds of my first a Lotus a 135R. You don't drive an X5 do you? I have to admit, the description paints a drool-worthy picture of a car! I quite like the Auto Express render but the car seems considerably more extreme, perhaps similar to the aforementioned render but with a bit more AM Valkyrie about it? The forward, jet fighter-like 'dome' and 'the two huge air channels that effectively tunnel beneath the rear bodywork and which will have elements of the taillights around the exits (details from Pistonheads) sound amazing! The Pistonheads report also notes that the two channels (venturi tunnels) 'will incorporate light elements to better show them off in the dark, and there will also be a transparent cover which will show off the top of the battery pack and also the pushrod cranks for the rear suspension'. Bedroom poster/desktop photo appeal aside (as near as most of us will get to one) there are undoubtedly cues here for the future Lotus models. The showing off of mechanical elements ordinarily kept out of sight seems pretty reminiscent of the exposed gear shifter mechanism, for instance - a feature seemingly well appreciated by most fans - and makes you wonder whether this will be a design feature of upcoming models. There's something undeniably cool about having so much confidence in the engineering that you want to world to see it. Lotus have increasingly noted their expertise with aerodynamics over the past few years and aerodynamic features are all over the hypercar - again, potentially a direction we'll see much more of in the new models. REALLY looking forward to seeing the 'real thing' this summer, regardless of the fact that it's a halo model out of the reach of most mere mortals, because I think we'll learn a great deal about the directions taken for those next models at realistic price points. I recently returned from a trip which included two days at a wet Ascari and two days at a hot Portimao, so thought I’d give some feedback on the Avon ZZR vs Michelin Cup 2. I had the chance to drive my Exige 350 on Michelin Cup 2 and a friends 350 on ZZR. Both had 3-way Nitrons installed and set up by Hoffman’s. The ZZR provides much more dry grip and a better turn in than Cup 2. However in the wet the Cup 2 is far better. On the road the Cup2 is significantly more comfortable, thanks to the taller front tyre at 45 v 40 for the ZZR and the much softer sidewall helps to even out road imperfections. I haven't had the wheels off yet to check how much life is left, but they look good for another two days. Last year at Portimao on the same set up with ZZR, they were pretty much done after two full days. If you are looking for out and out grip then the ZZR in my opinion are better. If you are looking for a tyre to get to the track, blast round then drive home, the Michelin Cup 2 is a better proposition. I’m sure it varies depending on how each person drives but that’s just my opinion after the 4 days. I was running ZZR hot at 29psi and Cup2 at 30-31 hot. Photo with @mcx in Portimao pitlane. The Hypercar is a bit out of my fanancial possibilites, great if its successful but not a Lotus I'm craving for. I find a new race car for China a bit underwhelming. BTW ist the Union Jack on the front supposed to reflect the Brexit status? It looks a bit torn apart. Anyone in need of a kidney?? Literally the second coming of the Type 124, reborn from its ashes. Bringing back the original side mirrors is a nice touch. Now they have to get teams on board and really go racing in SRO/FIA GT4 + GT4 America, IMSA GT4, Creventic 24h series, the lot. They have less than twelve months to get Type 130 out and about under the spotlight. Does London still have a car show... Popham said it would be unveiled by the end of the year so i'm thinking private event launch as Goodwood is way to soon. I am of two minds, if this thing is indeed the GT4/430, this car has first been unveiled softly in Hethel at the 70th celebration last year, if they just announce it, that will be a pretty big anticlimax for me, I guess the journos will be "meh" at best. Still I am all about going back to racing and GT4 is the new sweet spot of customer racing but if they bother to launch this car I would expect Lotus to start a full factory program and go back to Le Mans. In a way Lotus would have gone full circle. The Evora was the car to take the company back to the GT arena and this car would do it again nearly 8 years later. In other words there's nothing wrong with just a GT4 but there's nothing wrong with hoping for more, GTE is open, Ford is leaving, BMW is poised to leave too, that puts Lotus head to head with Ferrari, Aston Martin and Porsche, Geely Lotus' public target competition. GTE would also be the perfect testing grown for the integration of a Geely engine. Regardless of whether they choose to go to GT4 or GTE, the real good news is that the Motorsport division is surely coming back, but will it be an in house division or an out sourced concern, that is the question that comes to mind right now. Not too much longer to wait now. 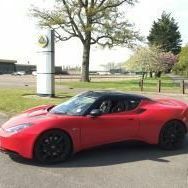 Vehicle Virgins Evora 400 review video, I think this guys hooked, and this guy has driven a lot of exotica, and to compare the ride to a 720S is high praise indeed.